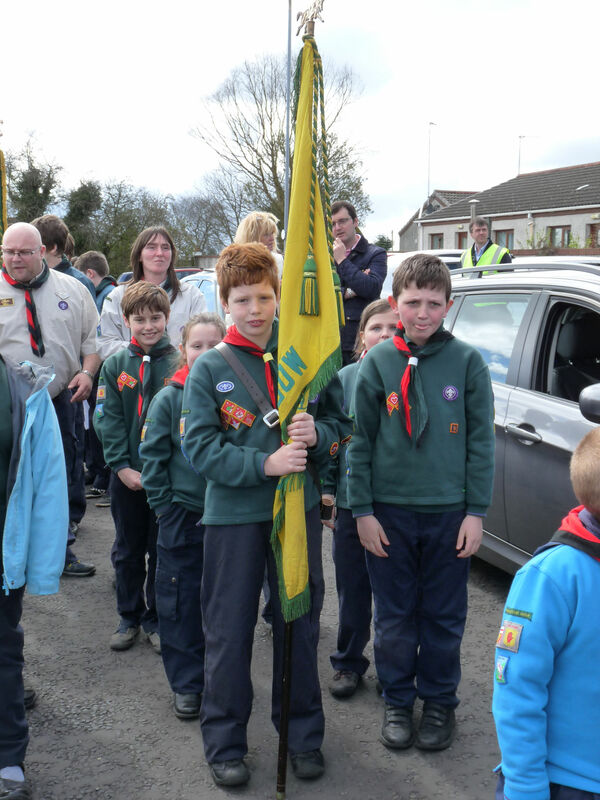 Sunday 21st saw the Scout Association’s annual St Georges Day parade which this year was hosted by Ballymoney Scout Group. 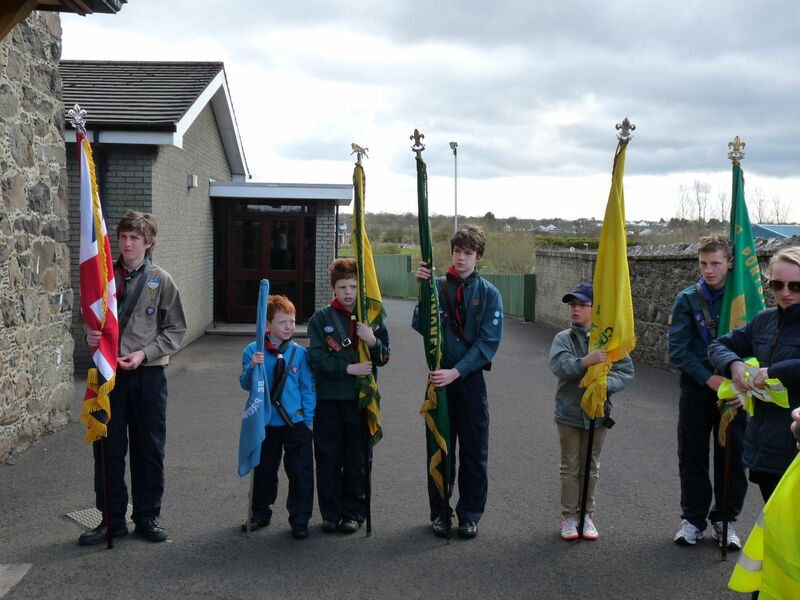 Ballymoney were joined by Beavers, Cubs, Scouts and Explorers from the District, as well as the Eden and Vow Accordion Bands. 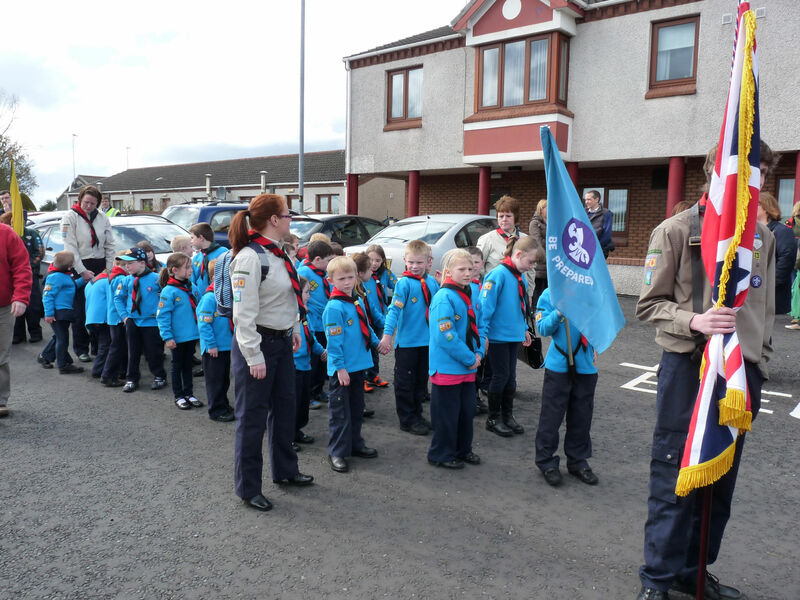 With the weather staying clear and dry, the parade walked through the town to a service held at First Presbyterian Church, Meetinghouse Street, conducted by Mr Jeremy Murray, with prayers and reading from the young people. The collection raised a fantastic £300 which is being donated to The Children’s Heartbeat Trust NI. 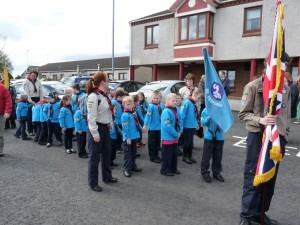 After the service the parade returned to the Townhead Car Park where it was dismissed. 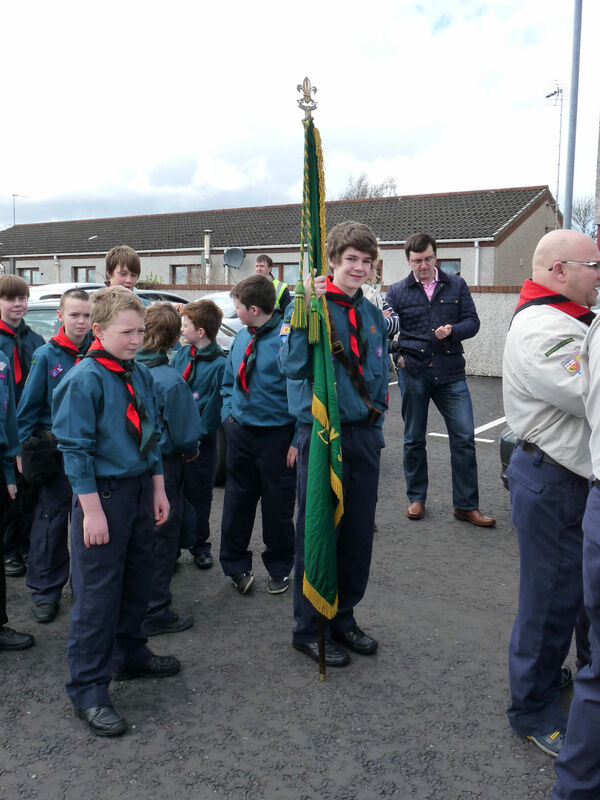 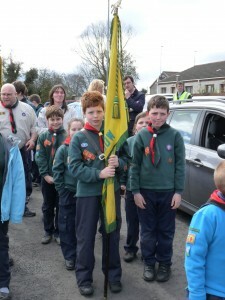 Ballymoney Scouts would like to thank everyone who supported the event.